It’s been a full year since I began writing for Penny Hoarder, and I still get so excited when I find settlements to share with you! There’s no real magic to finding open settlements; what it takes is lots of time and searching. It’s all worth it, though, knowing that my fellow Penny Hoarders can simply read — and share — these settlement articles without doing a ton of research on their own. On a personal note, this month I received a check from the TRESemme Naturals class-action settlement I told you about in September. And I also submitted claims for four others that I qualified for. Now, it’s your turn to take a few minutes and see if these five companies owe you money as the result of the following settlements! Do you own a Kenmore gas grill? If so, you could get up to $300 from this class-action settlement. The lawsuit claims that 15 Kenmore barbecue models with galvanized steel firebox trays are defective and pose a safety risk. According to the lawsuit, the firebox trays can disintegrate during normal use, exposing the propane tanks to flames from the grill. If you own a Kenmore grill manufactured between Oct. 1, 2011 and Sept. 30, 2014, you could receive a firebox repair or reimbursement for a previous repair, a $180 Sears gift card or $125 cash. 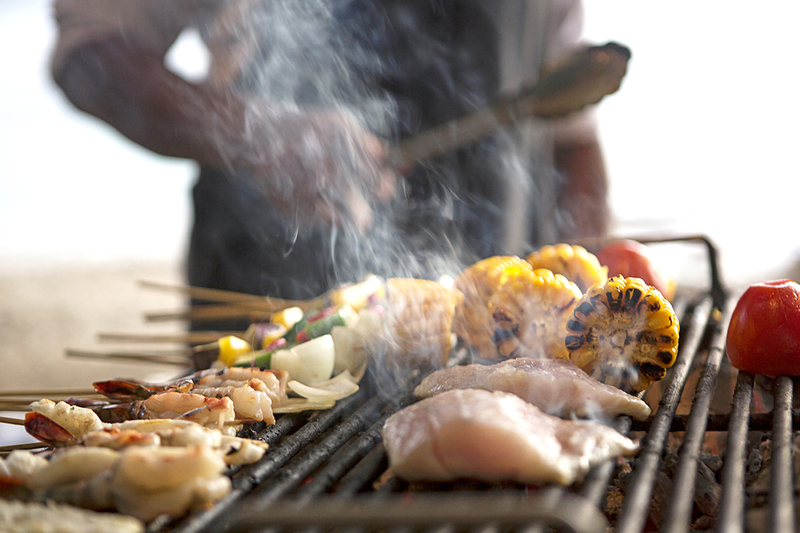 If you bought a replacement grill because of the defect, you could be reimbursed up to $300. To receive compensation, you must file a claim form by Jan. 26, 2018, along with proof of purchase. If you used a credit or debit card to buy an item from a Jimmy Choo retail store in the U.S. between Oct. 27, 2013 and Nov. 2, 2015, you could get between $75 and $175! A class-action settlement resolves allegations that the luxury boutique printed sensitive information on credit card receipts in violation of federal law. The Fair and Accurate Credit Transactions Act prohibits businesses from printing the expiration dates and any numbers other than the last five digits of credit and debit cards on store receipts. According to the $2.5 million Jimmy Choo class-action lawsuit, the retailer printed expiration dates and other sensitive information, including customers’ home addresses and phone numbers, on receipts. If Jimmy Choo printed your sensitive information on your credit card receipts, you have until March 17, 2017 to file a claim. Did you purchase the prescription drug Provigil between June 24, 2006 and March 31, 2012? If so, you could benefit from this $35 million class-action settlement. The lawsuit was filed by the attorneys general of 48 states and Washington, D.C., against the manufacturers of Provigil, a stimulant that’s often prescribed to treat disorders like narcolepsy and sleep apnea. The suit accuses the makers of Provigil of working to delay a low-cost generic version of the drug from entering the pharmaceutical market. Uninsured consumers who paid for the entire price of Provigil, along with those who had insurance but made a copayment or an out-of-pocket payment because they didn’t meet their health insurance deductible are eligible for this settlement. Individual settlement amounts will vary. The deadline to file a claim for the Provigil class-action settlement is April 13, 2017. Here’s how to find out if you qualify. Did TalentBin by Monster create a job candidate profile for you without your knowledge or consent? If so, you could get between $100 and $500 from this $1.15 million class-action settlement. TalentBin violated the Fair Credit Reporting Act by collecting information online about potential job seekers and creating a “candidate profile” for the purpose of selling the information to recruiters or employers, according to the lawsuit. If TalentBin created a profile for you between Oct. 2, 2013 and Aug. 8, 2016, and sent that information to a possible employer, you must file a claim and seek compensation by June 9, 2017. If you bought Quorn food products in the last four years, you could get either a full refund with proof of purchase or up to $200 without one. A class-action lawsuit claims the vegetarian food manufacturer deceived consumers by implying it created its meatless products from mushroom-based protein. But in reality, Quorn made them from a mold-based product, according to the suit. The settlement covers numerous products, including Quorn Classic Burgers, Quorn Nuggets, Quorn Tenders, Quorn Roasts and Quorn Turkey Burgers. Quorn customers who made purchases between Jan. 26, 2012 and Dec. 14, 2016 must file a claim no later than June 1, 2017 to benefit from this settlement. Here’s how to find out more. Your Turn: Are you filing claims for any of these settlements? Let us know when you get a check in the mail!